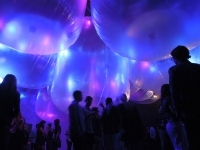 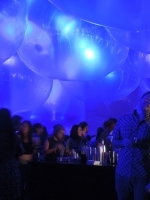 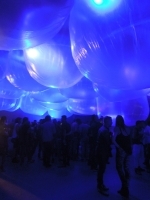 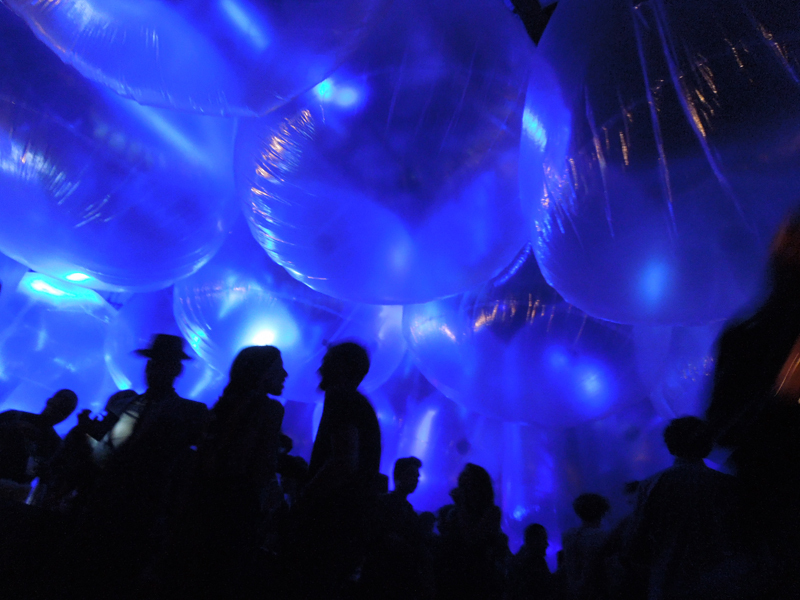 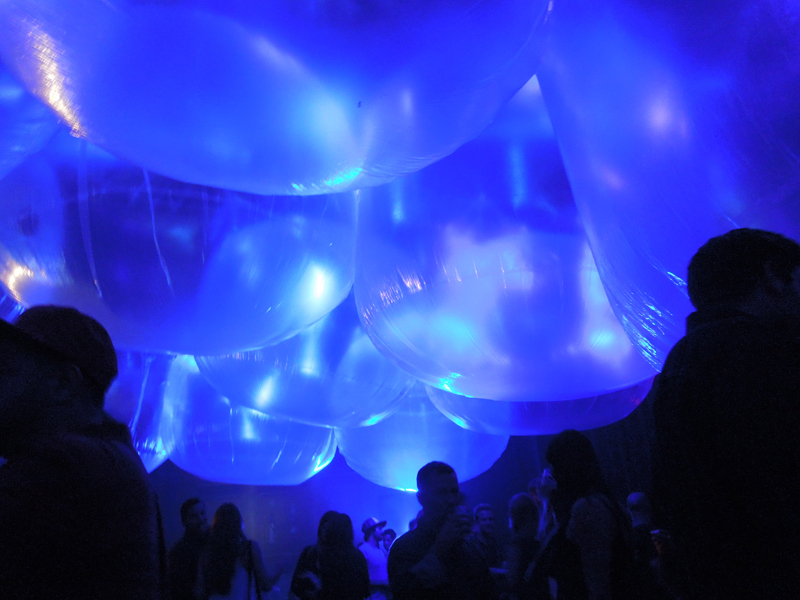 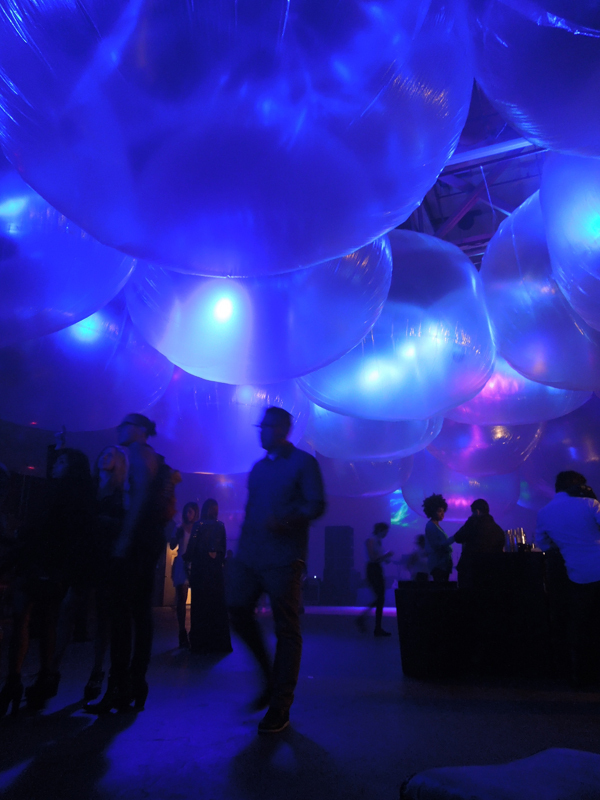 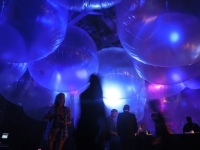 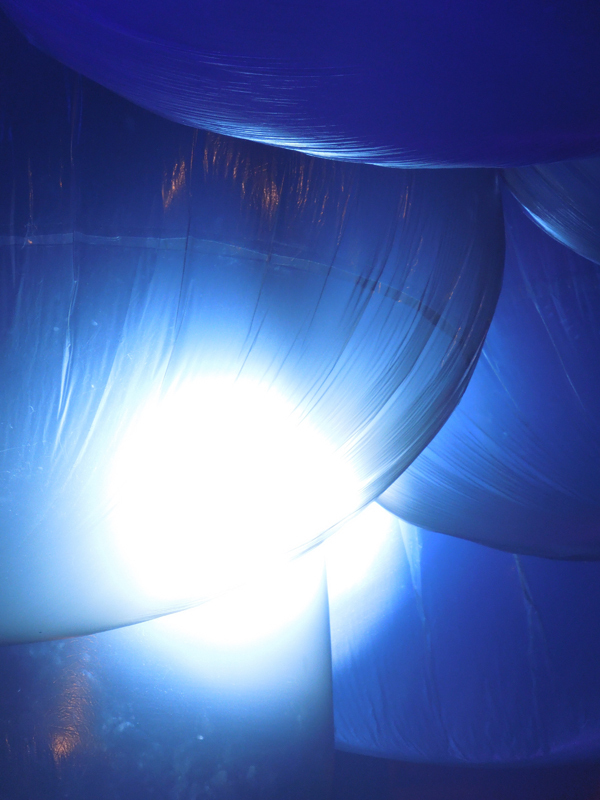 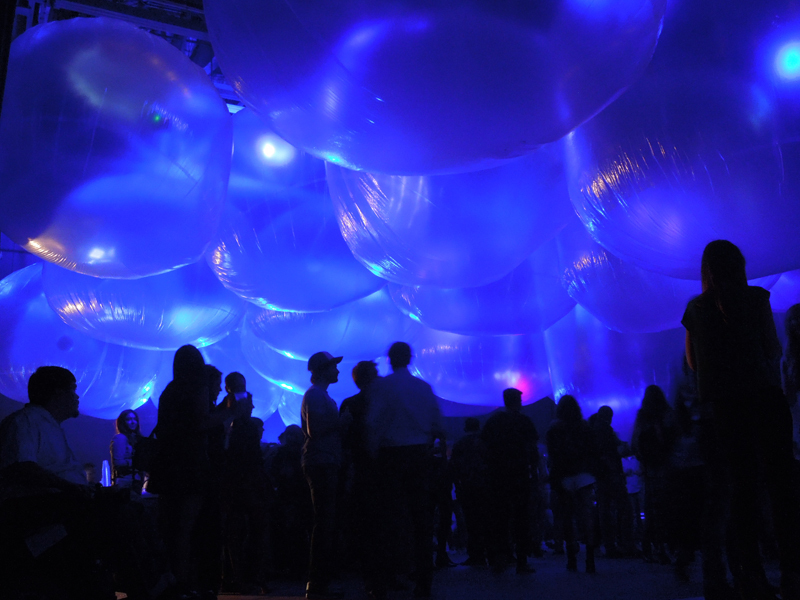 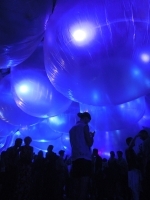 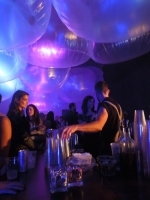 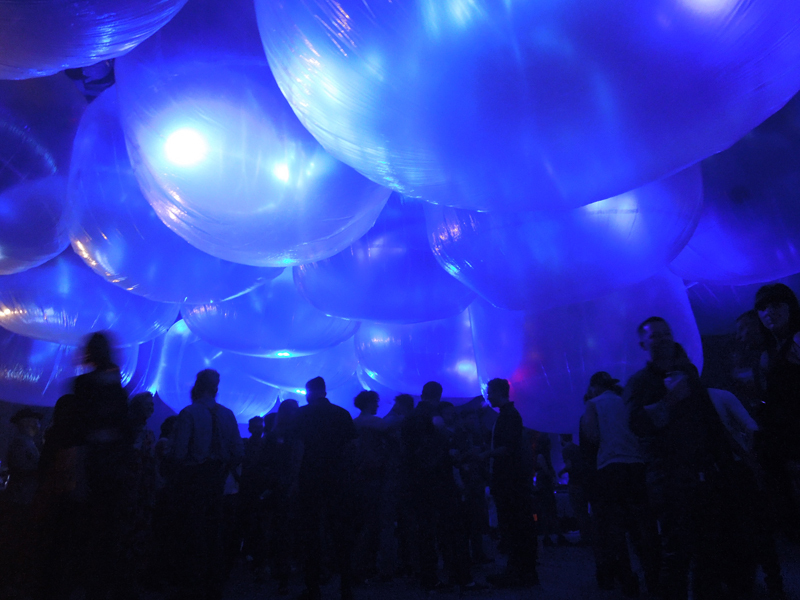 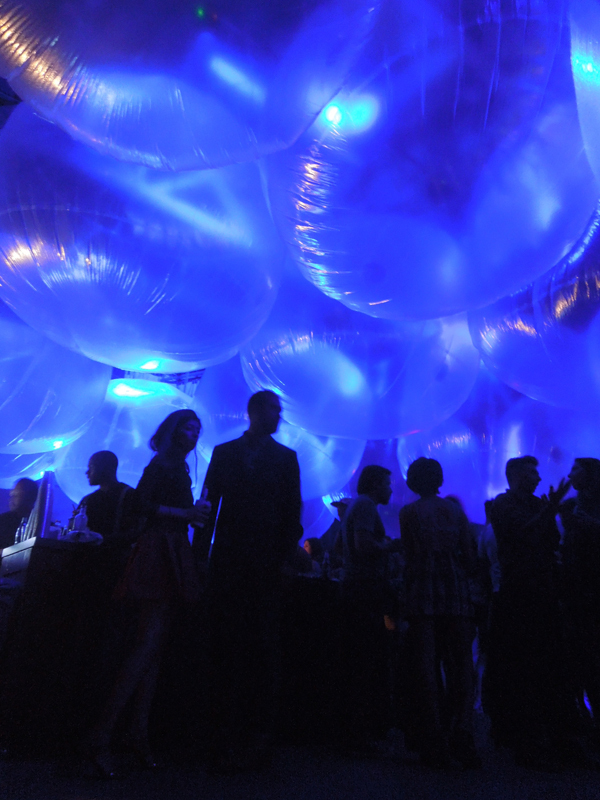 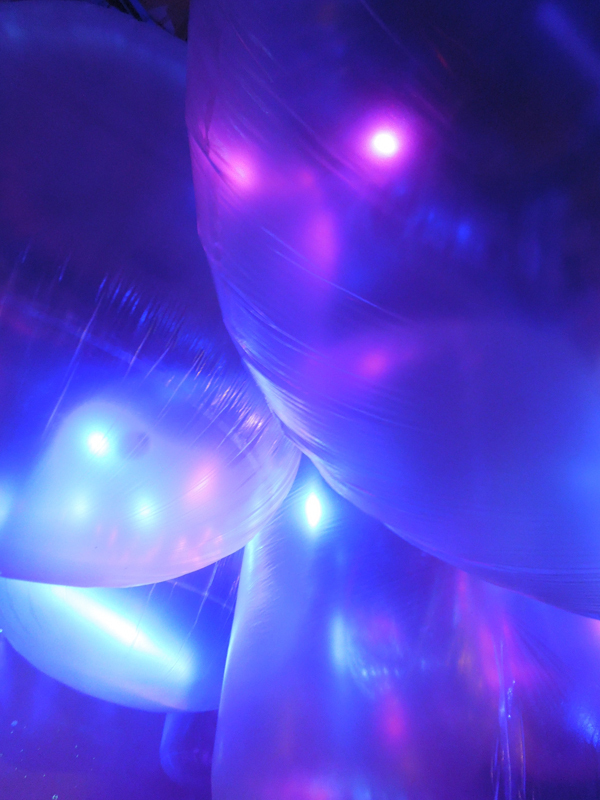 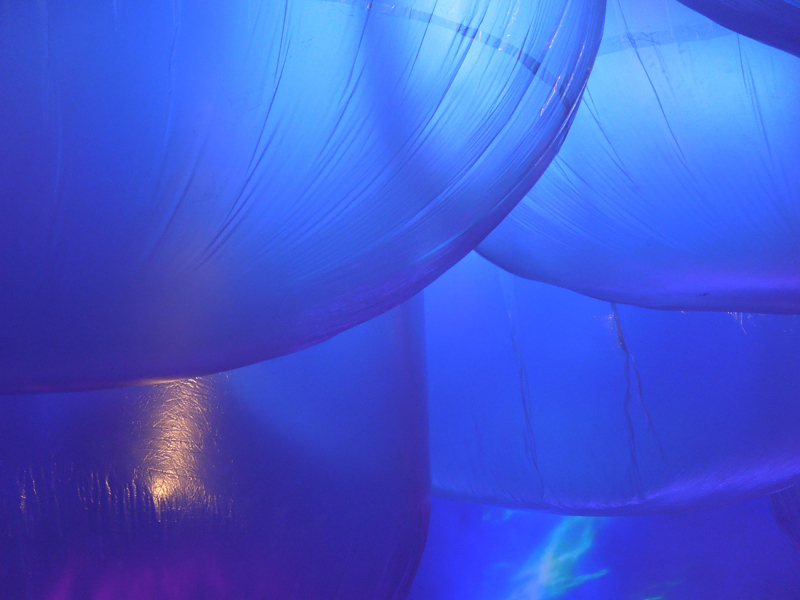 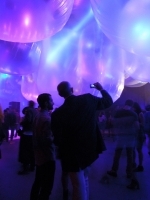 This is an interactive environmental art installation for VIP kick off party on FYF fest 2013 at MACK SENNETT STUDIOS. 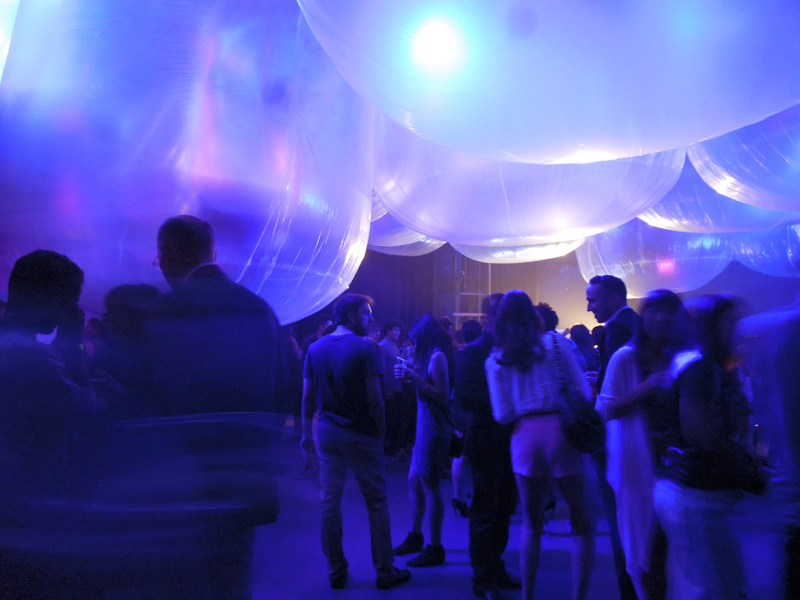 The whole venue was covered with plastic clouds above audience. They had different height and audience could leach their hand to some of them. 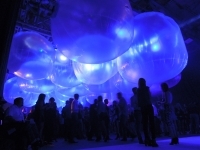 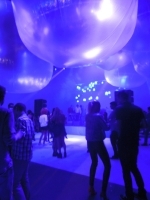 The luminous clouds change it's color and brightness interacting to music that is played on the stage during the party.